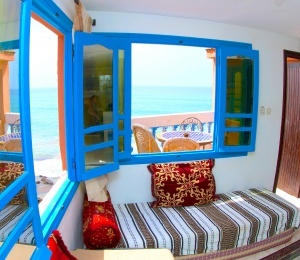 The Surf & Yoga House is centrally located in a beautiful and quiet area of Taghazout Bay, Tamraght. 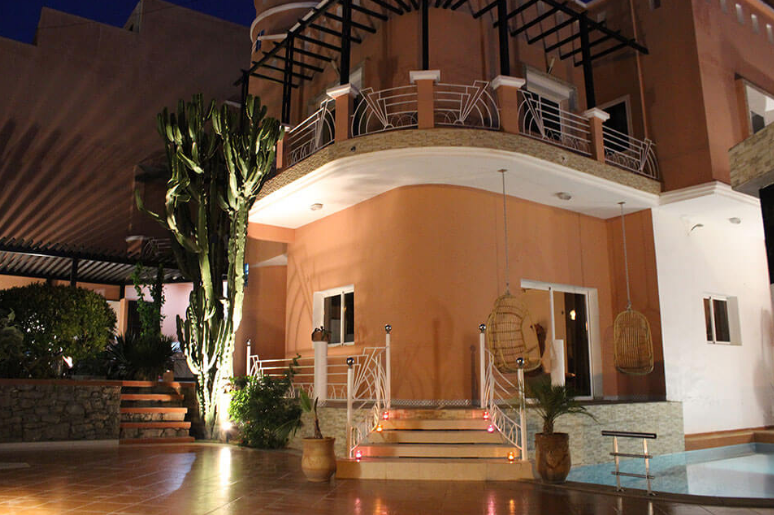 The surfvilla has high-standard rooms at affordable rates. Solid Surf & Yoga House is located just 1 km from the all the famous surf spots like Banana Point, Devils Rock and Croco Beach. 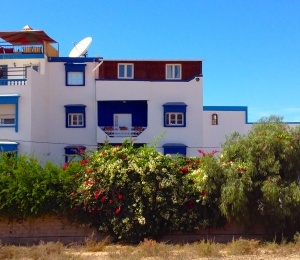 Situated just a stroll away from the world-class breaks Morocco has to offer, our surf house is an ideal place for surfers of all levels of experience. 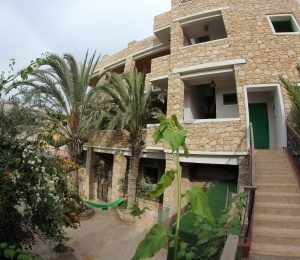 Solid Surf House is a luxurious surf and yoga camp situated in the beautiful Taghazout Bay, Tamraght, Morocco. Our experienced surf instructors will take you to the world-class surf spots suitable for all levels of experience. Learn to surf or improve your level of surfing and practice yoga while enjoying the facilities of the surf house at very competitive rates. Chill out in our lounge areas, take a swim in our swimming pool or relax and watch a movie in our cinema area. We will make sure you have an unforgettable experience after your stay at Solid Surf & Yoga House. Our renovated Surf & Yoga House offers 6 high-standard bedrooms with private bathroom and 2 shared bedrooms. 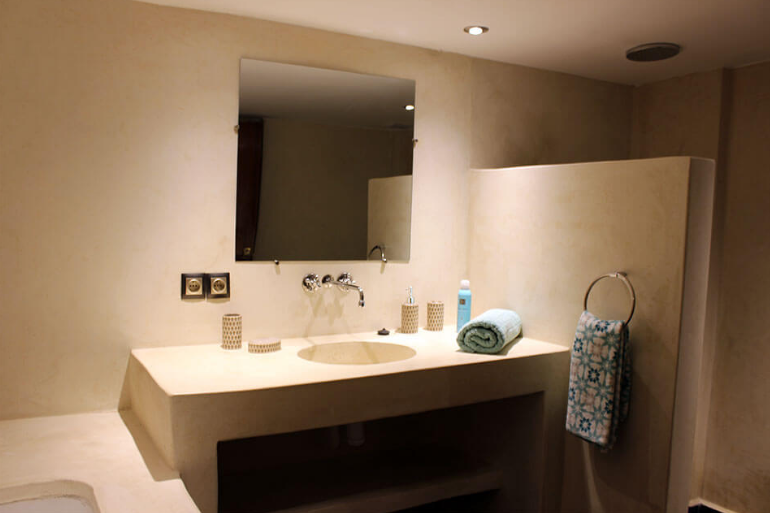 All rooms contain a private bathroom, daily towel service, fridge, Wi-Fi and stylish furniture. The deluxe and superior rooms are equipped with a flat-screen television including movies and have a safe. Our house has 2 shared rooms, 2 standard double (or triple) rooms, 2 deluxe double (or triple) rooms and 2 superior double rooms. No matter what your budget is our rooms will suit your requirements! The house has a large shared living area where you can meet and hang out with the other guests. 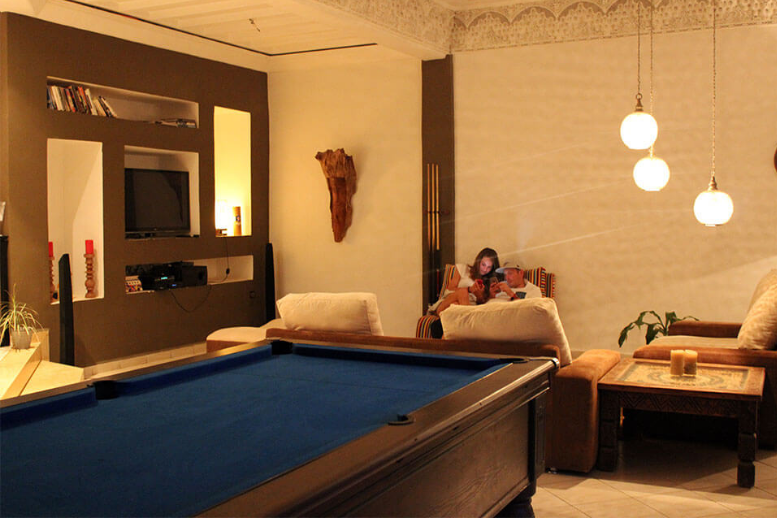 In this area you can play pool, watch a movie or take a swim in our swimming pool of 8 x 4 metres. On ground level, you will find our comfortable large lounge with a BBQ and open kitchen. This unique set up will make you feel right at home. Breakfast, lunch and dinner are served in this area. 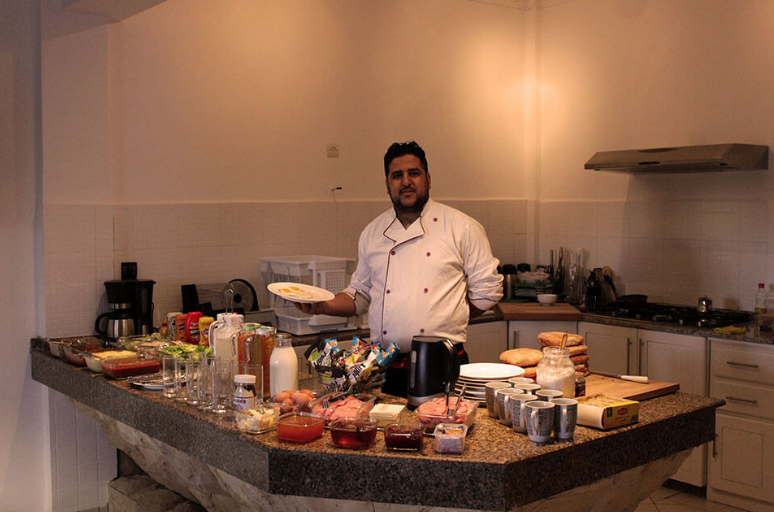 Our chef will make the most delicious traditional meals. This lounge is the perfect place to hang out after your surf session and share your experiences you had during the day while drinking a cold beer (BYO), a soda or a fresh juice. 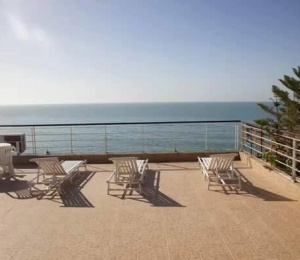 In Taghazout Bay over an area off roughly 20KM you will find over 30 surf spots variating from beach breaks to point break. Summer season is perfect for the beach breaks and in fall, winter & spring reef, point and beach breaks will come alive. All level surfing all year round. SURFINN © 20-04-2019 04:42:37. ALL RIGHTS RESERVED.